Citytech has undertaken several SEO jobs and also been given the responsibility of maintaining the site’s SEO and rankings through all the search algorithm changes and updates. Citytech has vast experience on SEO of eCommerce sites. SEO on eCommerce websites of critical importance in the site’s success and sales through the ecommerce site. SEO is the most fruitful as well as cost effective method to attract potential customers to the site. eCommerce business primarily depends on the user experience and how the vendor is presenting themselves online. Our portfolio is our strongest advertisement and pitch of our search engine optimization expertise. Type of site: DIY website for Home Décor. Our digital marketing experts were assigned to bring out operational search ranking for quality traffic. We prepared and presented the objective right from the initial discussion. We carried out a verification process, a competitive analysis and keyword research and setting up of custom Meta tags, content, and Header tags. After that, we started social sharing, blogging, press releases along with engagement in niche websites and social media platform. The site is now receiving a huge volume of traffic and conversion rate has noticeably improved. It has upped from a mere 1% to 6%! The overall visibility built on Google.co.uk searches is huge! The ranking of recommended keywords has achieved an incredible boost. The client of MedicalSupplyGroup.com was looking to score top ranking for a group of very rich and competitive search words. Securing top positions for those search words was difficult, because each keyword had high volume competition and had competitors from already famous brands. In fact, the site was a supplier store where famous brands’ medical products were available for sale. In addition, their search terms were so generic that we needed an extra and kind of a unique marketing strategy for both driving traffic and ranking those keywords, such as Specialty Wound care store, Diagnostics and Surgical Instruments, Orthopedic Supplies and Equipment, Tracheostomy Care store, Buy Medichoice, Orthopedic supply store, Pediasure medical supply, Laser surgical instruments, Wound dressing instruments etc. 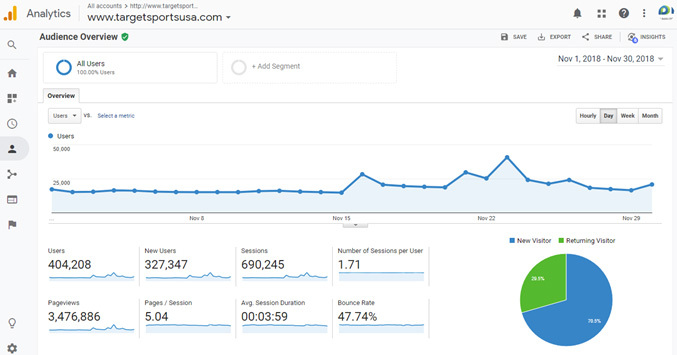 The digital team at Citytech was assigned to create an effective marketing strategy so as to rank top on SERPs, drive traffic to their site, expand social outreach and create buzz around their products. We prepared planed and delivered measurably on their expectations. We carried out a verification process, a competitive analysis and keyword research. Also set up a group of custom Meta tags, content, and Header tags. After that. we started social sharing, blogging and creating press releases to leverage benefits in marketing campaigns and to increase engagement. The site is now experiencing inflow of huge traffic, improved ranking and better conversion rate like never before! The overall visibility built on Google.com & Google.ca searches was excellent and the ranking of keywords was fairly well. All the target Keywords got listed on the first page of Google search results. Gaining top ranking visibility was the first priority to the client of OnlineMedicalSupply.com. In order to do it, a detailed research was carried out and found out that all of their keywords were highly competitive. Despite that, we started to work and delivered results to the expectations of the client, because all of their keywords, such as Specialty Wound care store, medical supplies online, Tracheostomy Care store, Medical online store, Dental surgical supply store, Medical products online, Medline products for sale, syringes online, Afex incontinence, Arcus medical supplies, Medical equipment online, OTC medical supplies etc. were gaining top positions. We undertook to amplify marketing campaigns on the basis of our well-planned, measurable digital marketing strategy. Our digital team was assigned to leverage promotional contents, graphical content pieces, and various other content formats with a view to rank top on SERPs, drive traffic to the target web pages against specific keyphrases, expand social reach, create buzz around their products and amplify engagement. In order to create a marketing campaign strategy, we had to carry out a research process, a competitive analysis and keyword research. We also set up a group of custom meta tags, contents and header tags. The site is now getting a huge volume of traffic and its conversion rate has incredibly increased. Overall visibility built on Google.com & Google.ca searches is as per expectation! The search ranking of keywords created a good site ranking. All target keywords are now showing on the first page of Google search results. TheSurfboardWarehouse.com was kind a different website and its target audience was a particular type. We had to zoom in to pinpoint them and strategize marketing campaigns accordingly. It was also challenging for us to improve visibility of the given set of keywords, because each of them was extremely competitive. Few of them are like Online Surfboard Shop, Buy Firewire Surfboards, Surfboard Bags, Surfboard Bag, Surfboard Fins, Future Fins, Futures Fins, Buy FCS Fins Online, Surf Gear and Accessories, Surfboard Day Bag, Surfboard Travel Bag, FCS Fins, FCS II Fins, Prolite Surfboard Bags, Surfboard Leashes, etc. The list of keywords was terribly long and client wanted all of them to rank top positions when the store was only a reselling point of various big brands. So, we had to carry out a good research for all keywords related to the niche directory. Citytech’s digital marketing team was assigned to produce a detailed research report, so every keyword must get positioned on first pages. Desired volume of traffic was regularly driven and conversion rate also upped considerably. We also carried out extensive competitive analysis and keyword research and set up custom meta tags, contents and header tags. After that, we started social sharing, blogging and posting press releases for niche media engagements. Type of site: : manufacturer of Athletic Field Marking Paints, Paint Striping Machines, Athletic Field Accessories, Traffic Paints, Marking Paints, Industrial Coatings, Protective Coatings, Specialty Custom Coatings, Architectural Paints, Concrete restoration coatings, Asphalt repair products, Janitorial cleaners disinfectants, Floor wax polishes, serving customers all over the world. Paint market is itself too much competitive. Hundreds of big players have already been there in the market, as a result to outrank those players with equally large volume of highly competitive keywords was quite hard. Our challenge was to improve visibility of the target pages against the use of keywords like Aerosol Marking Paint, Synthetic Turf Paints, Field Striping Machines, Field Painting Machines, Football Field Stencils, Green Grass Paint, College Logo Stencil for Grass, Utility Marking Paint, Soccer Field Paint, etc. In today’s highly competitive marketplace, reaching out to the target audience is a real challenge. Driving them to the website is even more challenging. That’s why personalized digital marketing method is strongly recommended. It is no exception for Electric Fireplaces marketplace too! ‘Wallmounted-Electricfires’ is similar webstore, which wanted optimization of very rich and ‘exact match’ competitive keyword searches for their products, such as The Electric Fire Store, Electric Fires, Electric Fire Store, Electric Fire Stockists Near Me, Wall Mounted Electric Fire Store, Electric Fire, Electric Fire Retailers Near Me, Electric Fire Shop Near Me, Electric Fire Shop Stoke-On-Trent, Electric Fireplace, Fireplace Shops Near Me, Best Electric Fire, Best Electric Fireplace Uk, Best Electric Fires, Black Electric Fires, Buy Electric Fire, Buy Electric Fireplace, Buy Electric Fires, Closest Fires, Contemporary Electric Fireplace, Corner Electric Fires, Dimplex Fireplace etc. We were also intended to make strategies for top ranking of the listed key terms and drive good traffic from UK-based locations only. We carried out detailed research on every keyword related to network design, operation management and information technology. The site is now receiving a huge volume of traffic and conversion rate has noticeably improved. The overall visibility built on Google.co.uk searches is huge! The ranking of recommended keywords has achieved an incredible boost. Type of site: Data Center and Colocation Services. OmanDataPark.com is a Govt. undertaking Project on ‘Sultanate of Oman’. The Portal was kind a different website and its target audience was a particular type and of a tiny selective range in Oman. We had to zoom in to pinpoint them and strategize marketing campaigns accordingly. It was also challenging for us to improve visibility of the given set of keywords, because each of them was extremely competitive. 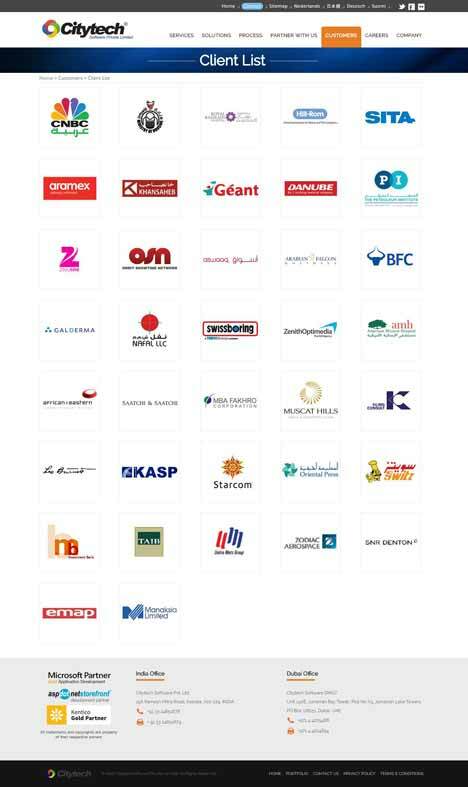 Few of them are like Managed Security Services, Data Centre Services, Information Security Services, Colocation Hosting Services, Oman Colocation Service, Managed Cloud Provider in GCC, Datacentre Oman, Cloud providers in GCC, Managed Service Providers in GCC, Colocation in GCC, Datacentre Muscat, Virtual Private Server, IT Managed Services, IT Infrastructure Services, Data Backup Service, Managed Colocation Services, Managed Colocation Hosting, Colocation Hosting Providers, ERP Cloud Services, Managed Backup Service, Dedicated server Oman, Oman internal security service, Oman data management, Oman web hosting, Web Hosting Oman, etc. The list of keywords was terribly long and client wanted all of them to rank top positions when the store was only a reselling point of various big brands. So, we had to carry out a good research for all keywords related to the niche directory. The site is now getting a huge volume of traffic and its conversion rate has incredibly increased. Overall visibility built on Google.com.om searches is more than expected! The search ranking of keywords created a good site ranking. All target keywords are now showing on the first page of Google search results. Forever Redwood had a PPC program in place. They were not happy with the PPC campaign results. Eventually, they hired Citytech and proposed that they’ll do away with the PPC program and associated costs and move forward with organic SEO instead. The competition of the keywords was intense for their keywords like Arched Pergola, Redwood chairs, Redwood Tables. As soon as Citytech got the project, Citytech drafted a Benchmark Report and Citytech’s Senior SEO consultants started work on the ‘meta tags’, ‘image tags’, ‘Header tag optimization’, ‘xml site map submission’ to Google. They also took care of social sharing, Blogs and article postings, Press Releases and content sharing through PPT via slide sharing. Searching on all the competitive keywords now pulls up the site on Google, Yahoo and Bing’s First Page of results. When Citytech undertook this job, the client had a different SEO service provider. They were struggling to get this site on Google ranking and attracting traffic. Ultimately they dismissed the service provider and hired Citytech for the Job. The keyword competition like in keywords like Bed System (465,000,000 competition in Google), Bed Components (96,300,000 competition on google) and many more like Replacement bed cover systems, Sustainable mattress, softside waveless mattress and so on are all very highly competitive keywords in google.com. For this project, Citytech’s SEO experts prepared and presented the benchmark report right at the time of initial discussion. We then verified and did the competitive analysis of the keywords and set up the Meta tags, content, and Header tags. After that we started social sharing, directory submission, blogging, Press releases etc. The site got a huge boost on sales and traffic after availing Citytech’s SEO services. Client were very impressed and happy with the results. All competitive keywords searches lists site on Google, Yahoo and Bing’s first page of results. 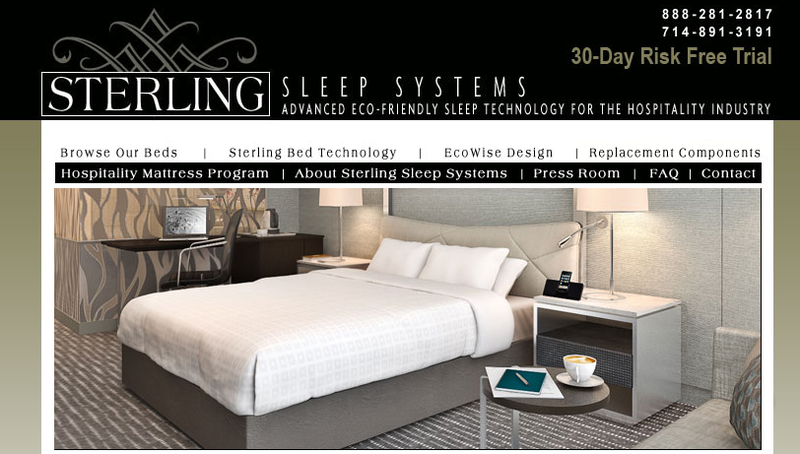 We got this job as repeat business from the same client as Sterling Sleep. The key competition keywords were like hotel mattress supply, cameo mattresses, hotel bed supply, silver lining mattress, hotel beds and supplies. On getting the job, we prepared the benchmark reports right away. After that we started On Page Optimization techniques like meta tags, image tags, header tags customization, Social sharing, Blogging, Press releases etc. with directory submission. Most of the keywords searches shows site on first page of Google, Yahoo and Bing. When we undertook this project, this was a brand new site for a software product called Paylite. Site was initially poorly developed, so Citytech helped in the redesign and development of the site with SEO in mind and turned it into a SEO friendly site. The site has been designed and developed for a Human resource management system software and the competitive keywords are Payroll Software, Appraisal Management System, HRMS, and Employee Self Service. Citytech’s crack SEO team provided the benchmark reports to the managing directors as a first step. After that we started with On Page Optimization tricks like Meta tags, image tags, header tags customization, Social sharing, Blogging, Press releases etc. with directory submission. The site has got a huge bump on sales enquiry and traffic. Client is very happy with the results and given Citytech’s SEO services rave reviews. All competitive keywords are on Google, Yahoo and Bing’s first page. When the client gave us the project, we found that there are 10,600,000 Phone unlocking sites on Google. So when we designed and developed the site, we were very attentive about SEO friendliness and had it on the top of our minds. All the Keywords of the site are highly competitive and it was a brand new site in our hands. We started the On Page Optimization by optimizing meta tags, header tags, content writing, blogging, Press releases etc. Keyword searches now lists site in Google searches with few keyword searches placing site on Google’s first page. Target Sports USA is an online ammunition site. The major challenge they faced was the validation of the site for effective search ranking. As Google does not support the authentication of ammunition organically. The biggest challenge was, they wanted to get their site on Google ranking to attract traffic. We struggled and kept an extensive work out on each keyword related to ammunition. Both the industry type and word search were unique and niche with authentication in mind. Finally we came up with successful search ranking on Google. For this project, the SEO experts of Citytech prepared and presented the objective right from the initial discussion. We did the verification, competitive analysis and key word research and set up of the Meta tags, content, and Header tags customization and Google Authorship Markup. After that we started social sharing, directory submission, blogging, press releases, etc. The site is now going through a successful turnover with good conversion rates. The Google search authentication could not obstruct the traffic rate anymore. Most of the keywords searches shows site on first page of Google. In today’s huge Information technology and network design competitive market, Google is flooded with many keyword search related to IT and network operation. Thus, the tricky game lies here as the biggest challenge. They wanted unique keyword search for effective search ranking and good traffic. We kept good research on every keyword related to network design, operation management and information technology. Citytech’s SEO experts were assigned to bring out operative search ranking for effective web traffic. We prepared and presented the objective right from the initial discussion. We did the verification, competitive analysis and key word research and set up of the Meta tags, content, and Header tags customization. After that we started social sharing, blogging, press releases along with directory submission. The site is going through huge traffic and conversion rate. The search ranking with exclusive keywords related to information technology created a good site ranking. Thus, a good opportunity was drawn from the challenge.